We’re about two weeks into the roll out of the new Google algorithm, ominously named “Mobilegeddon.” The new update promised to emphasize the mobile-friendliness of a site in relation to their page rank. While the true effects of updated algorithm could take weeks or even months to completely analyze, there’s no doubt that some of the impact is already being felt. Shockingly, some of the most popular, largest retailers could be the ones who suffer the most. This is particularly relevant because many of the major retailers are finding it difficult to attract consumers through a dedicated mobile app. A study by the Interger Group and M/A/R/C Research determined that while the amount of shoppers that purchased items on mobile devices increased from 25 percent to 35 percent from 2012 to 2014, only one in ten consumers downloaded the dedicated app of a particular retailer. This means that retailers whose website is deemed mobile friendly will have a higher chance of reaching potential shoppers than the 145 major retailers whose websites did not meet the mobile-friendly criteria from Google, regardless of whether that brand has a dedicated app developed or not. Major retailers were not the only companies that either ignored or failed to comply with Google’s new changes. 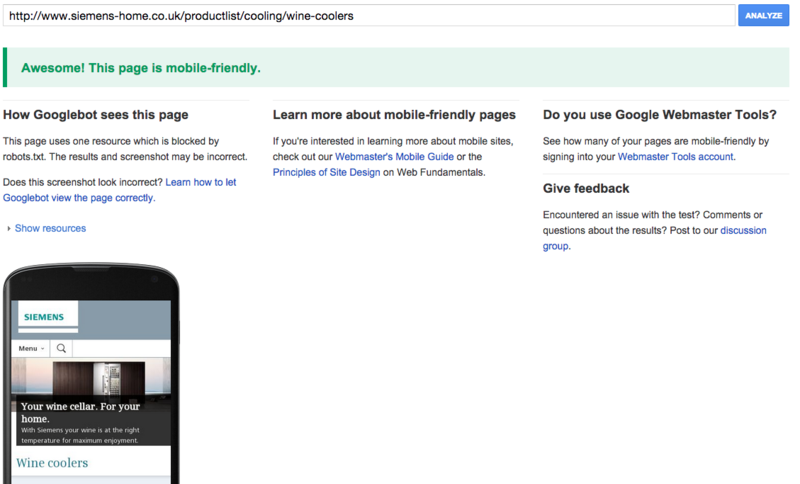 A quick study by Graham Charlton of Econsultancy, highlights early search ranking results from several major brands before and after Mobilegeddon, using Google’s simple, free Mobile-Friendly test. The results were compelling. While the home page was deemed “mobile-friendly,” other pages within the site failed. 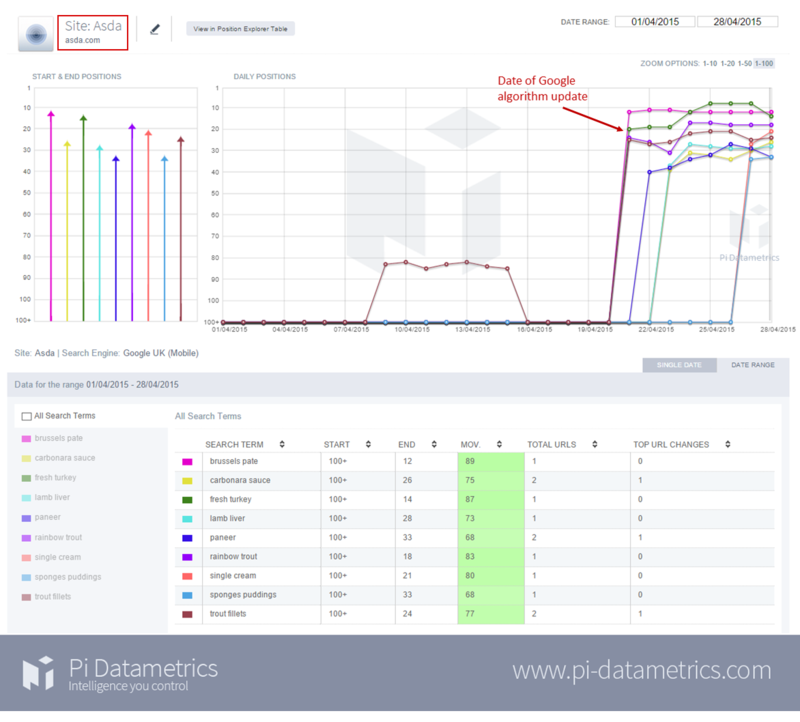 This seemingly caused many keywords to experience a direct drop in rankings after the Mobilegeddon launch. Ironically, items that caused other pages on the Barclays site to fail were relatively simple fixes. Issues such as text size, link spacing and setting the mobile view point all appears to have directly impacted the mobile-friendliness of the pages and thus, the search rankings for crucial keywords. 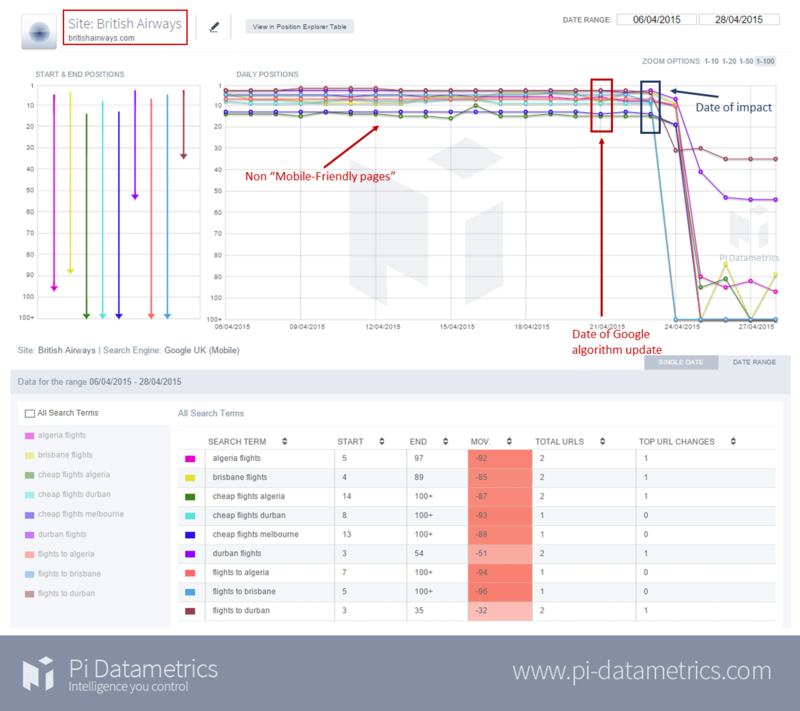 Siemens was another brand in the study that not only passed the mobile-friendly test but experienced the correlating increases in search rankings as a result. 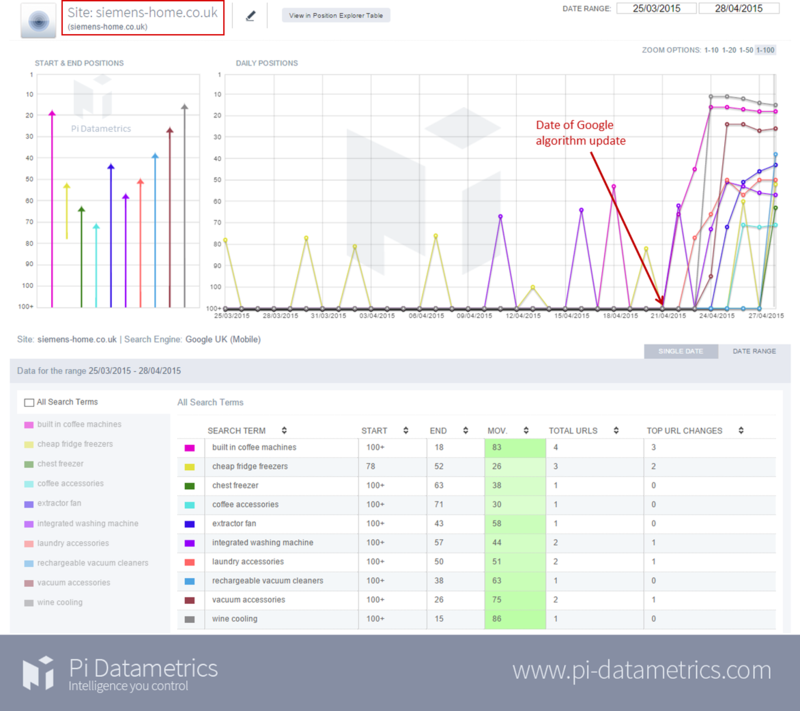 Again, these study results are not indicative of all of the changes that effected each organization’s search rankings due to the new Google algorithm, but if these early indicators are the first sign of things to develop, it is imperative that your website makes the immediate adjustments to comply with Google’s mobile-friendly rankings. While Google’s own Gary Illyes confirmed that the update was in full effect, unlike previous Google updates, Mobilegeddon was the search engine’s most gradual rollout to date. 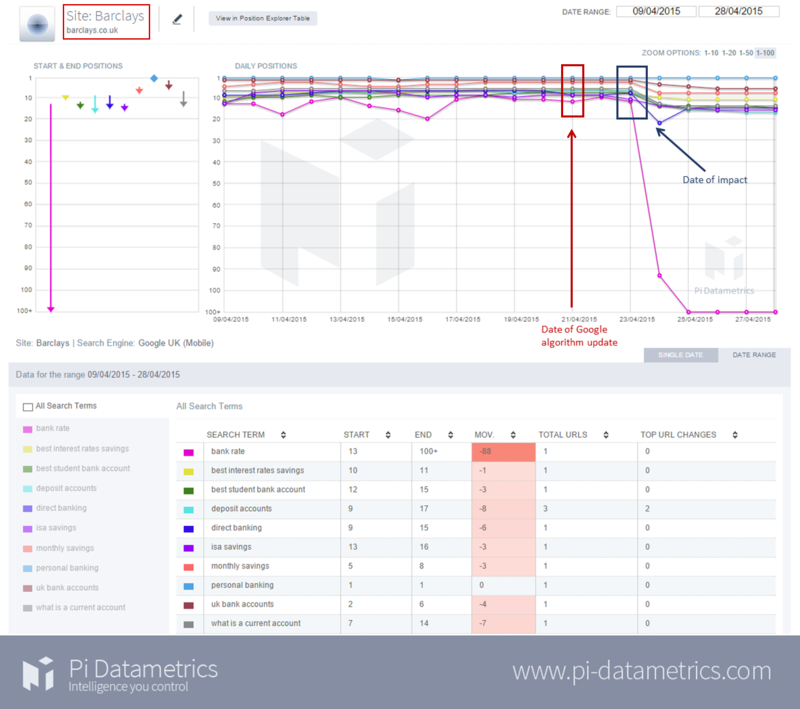 Full effects may not be known for some time, though the early analysis does seem to indicate that Mobilegeddon has had an impact on many sites. Even though Mobilegeddon wasn’t quite the search engine apocalypse that some analysts predicted, it is still crucial that your brand makes the necessary changes to ensure your website is mobile-optimized. Regardless of the final effects of the algorithm update, it is still a critical element of your business outreach and marketing to make your website accessible to millions of potential mobile consumers and easy to navigate the site once they reach it. If your site has experienced a recent drop in organic search visits, first-time visitors, or leads from key search terms, your website may be suffering from the early fallout from Mobilegeddon. Don’t wait to make the changes – fully optimize your website today! Here at Convergent1, our ability to stay on top of the latest search engine news and trends allowed of our clients’ sites to pass the mobile-friendly test, with all Convergent1 websites experiencing gains over the course of the new Google algorithm rollout. It’s not too late for your company either. Our team of experienced and dedicated web analysts, SEO specialists and content curators can help optimize your website, increase traffic and provide your company with the business solutions that come with a full website optimization and redesign. Be bold. Don’t get left behind. Contact us today and let us help you get fully mobile!